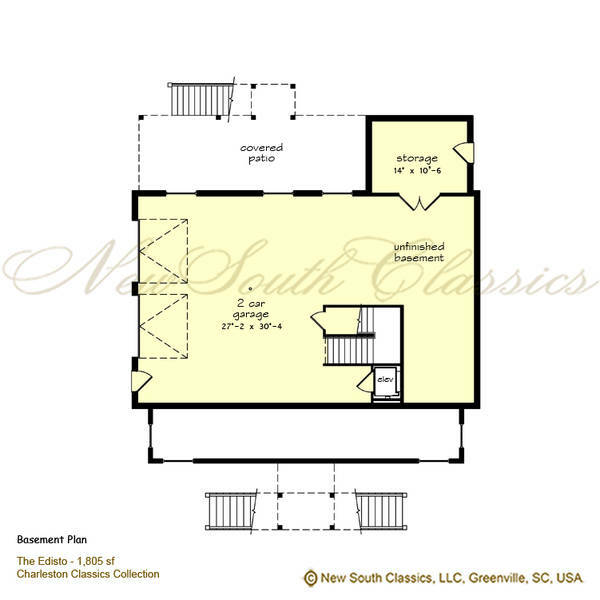 Our Edisto "Coastal Classic" house plan is typical of many found along the coast around Charleston, South Carolina. 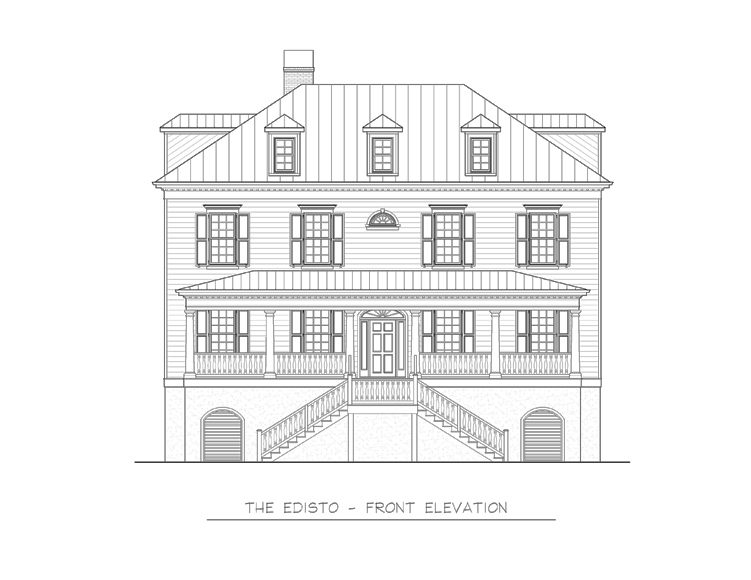 It has the traditional elements of design that so characterize historic Charleston houses. We call this one an "Upside Down" house because we have moved the living area typically found on the first floor to the second floor to take advantage of great water or marsh views! 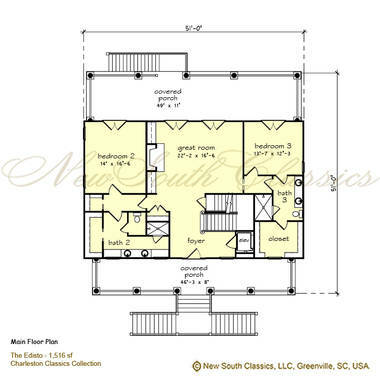 This plan is modeled after our Sandpiper house plan with the same efficient footprint, but about 826 square feet larger. 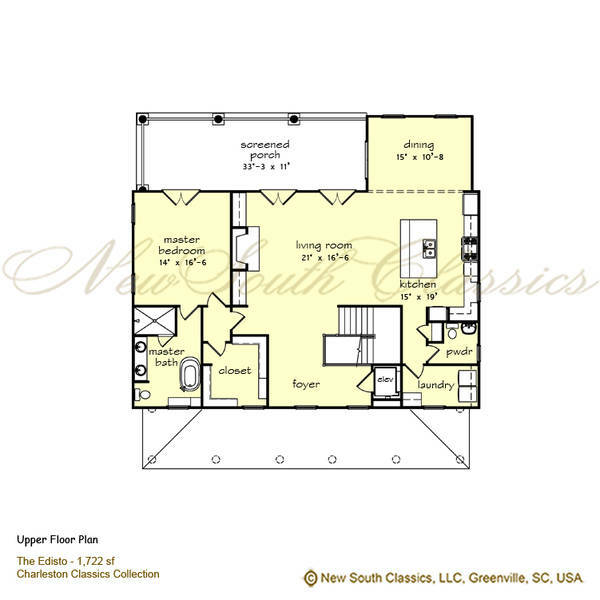 Moving the main floor to the second floor gave us the opportunity to add enlarged bedrooms sharing a generous family room on the first floor. This plan is efficient yet extremely livable with 3,238 square feet of space. 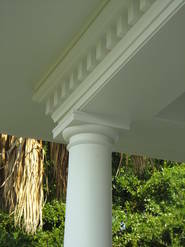 Raised off the ground to allow for tidal surges in hurricane conditions, the house has a commanding presence. This has the added benefit of allowing for covered storage and parking below with room for boat storage, and multiple cars. 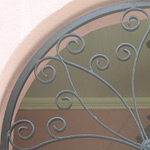 Arched louvers allow water to flow through if necessary. 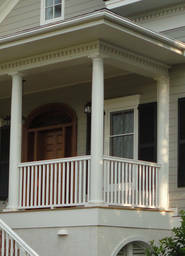 Graceful white steps lead to the typical Charleston covered porch. The front door with side lights and fan light above make for a welcoming entrance and a bright foyer. Tall "nine over nine" double-hung windows flank the entrance and provide classic symmetry. 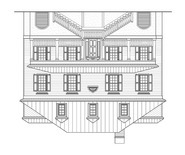 The exterior is traditional "HardiePlank" clapboard siding above a stucco lower level. The roof can be typical terracotta colored, standing seam, metal or architectural asphalt in a variety of color possibilities. 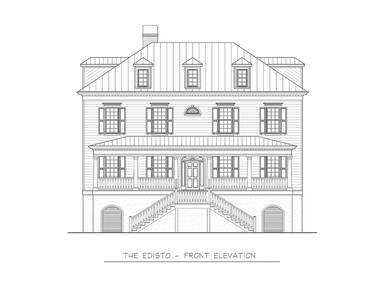 Designed with a full two stories, The Edisto has two floors of living space with total of 3,278 square feet packs a lot of features in a compact plan. Upon entering, one is greeted by an open staircase, wood flooring throughout, and a view through the living area's French doors that open to a covered back porch. To the right, in the foyer, an elevator leads to the garage level and second floor. Straight ahead, the casual great room with fireplace is generous with a 10' beamed ceiling, flanked by generous bedrooms with en-suite baths and walk in closets and showers. Each room opens through French doors to the covered porch offering great views in shaded comfort. 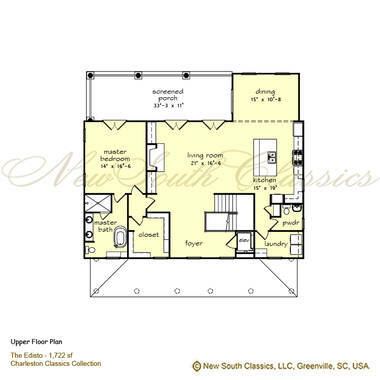 The second floor has 10' ceilings and great views!. 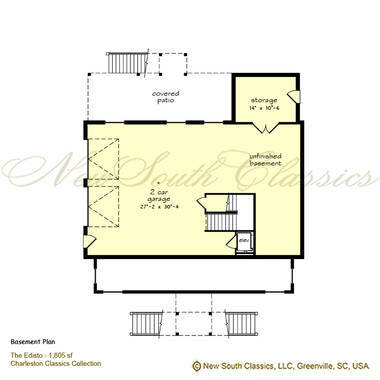 It sports a large living space with fireplace and banks of French windows that open to a covered, second floor porch. 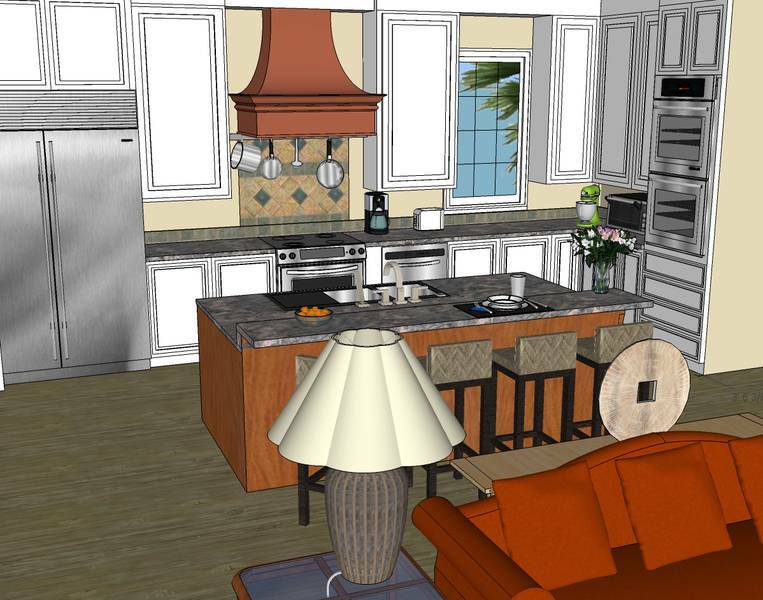 This space is open to the generous kitchen with large entertainment island and breakfast bar. Just off the kitchen, and open to the living area is the dining room with French doors to the covered porch at one end. 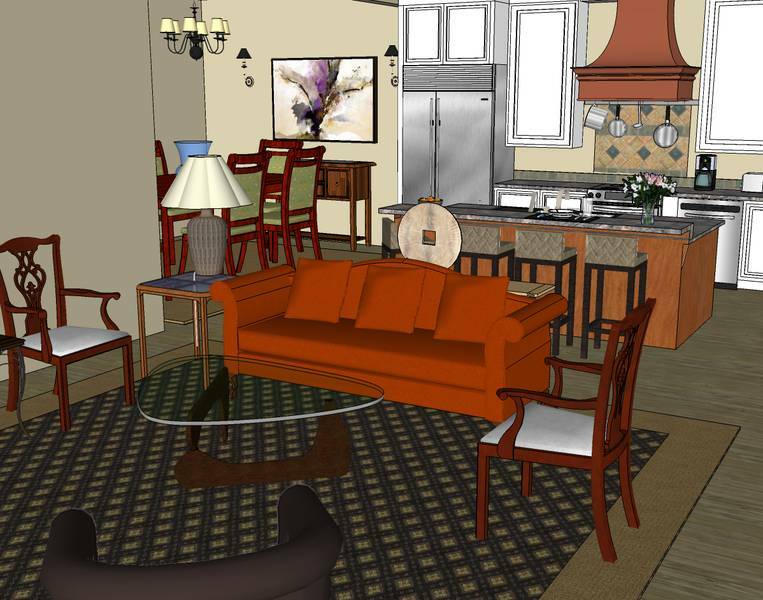 You could also convert the dining room to a sun room and dine in the great room! Off the kitchen is a convenient powder room and laundry. 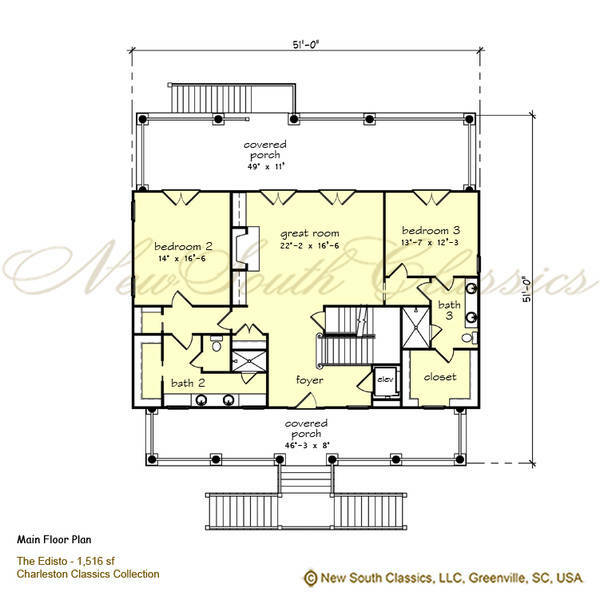 at the other end, a master bedroom, generous master bath with tub and walk-in shower and large closet opens to the covered porch. The open stairwell connects the two floors and visually ties the two together. 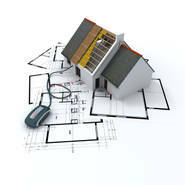 By the way....We can always flip the floors if you prefer to have your house RIGHT SIDE UP! Great room 22'-2" x 16' x 6"
Bedroom #3 13'-7" x 13'-3"
Front porch 46'-3" x 8"
Living room 21' x 16'-6"